We often nowadays hear of Machine Learning algorithms, like image recognition, pattern detection, clustering, etc. however it is still not so evident in most cases how to translate them into business benefits. VALE is currently seeking ways to re-imagine their business processes to become more efficient and effective. To do so, they teamed up with SAP to explore how SAP Leonardo could help in this endeavor. The current Purchase Requisitioning process is a hard manual-process with decentralized information distributed across many files and systems, and as result 25-40% of the requisitions are rejected every month due to errors. This causes lots of rework, a longer than required PR/PO lead time, and that result in excess of spare parts inventory being held. fig. : Current Purchase Requisitioning process as it hangs on the walls of the department for reference of the employees. 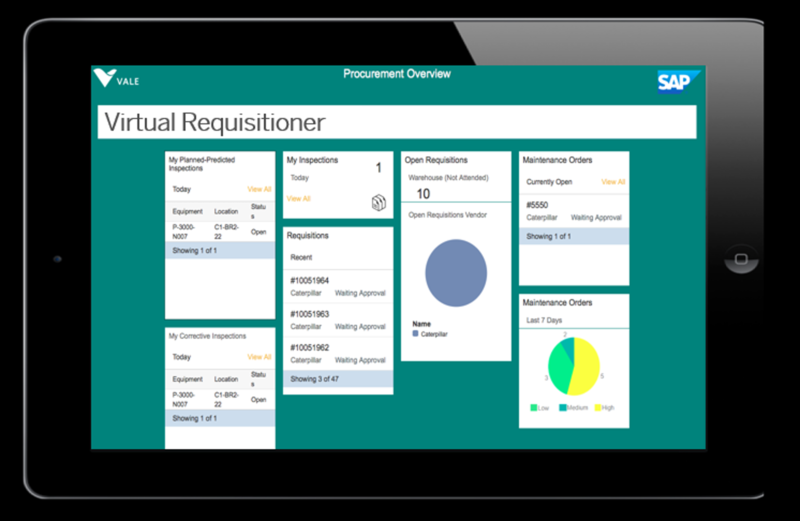 Using the SAP Leonardo Open Innovation Framework based on Design Thinking techniques we defined a reimagined requisitioning process that was delivered a SAP Fiori application, accessible from any device, which helps the user completing the process end-to-end without the need to login to any backend system. without having to login to the ECC backend system. 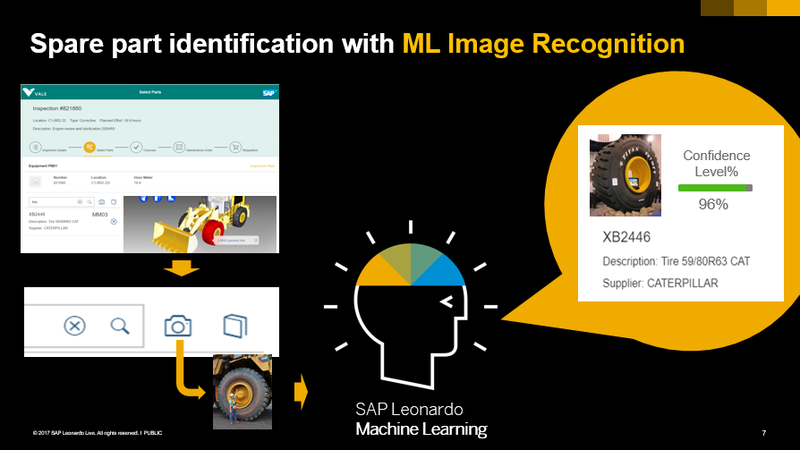 SAP Leonardo Machine Learning Image Recognition algorithm was integrated in the application to allow the maintenance technician to identify the material number of any spare parts that needs replacement by taking a picture of the part. This could also work offline. In case there is no internet connection the technician could just take the pictures from the parts, and complete the purchase requisitioning process later. Once the part is identified, the application will connect to the back-end system and find which is the correct procurement procedure for that material, whether contract or purchase requisition, and complete the purchase requisitioning process autonomously, also verifying whether this part had been already requested in the previous shift or whether it exist in any nearby deposit. The Virtual Purchase Requisitioner app will simplify and add efficiency to the purchase requisitioning process, since it helps completing the process almost touchless. This will result in a reduced PR-PO lead time and in a reduced spare parts inventory, which will translate in a reduction of working capital and increased labor efficiency. VALE showcased the Virtual Purchase Requisitioner prototype at SAP Leonardo Live event recently held in Chicago. Helio Mosquim, Global Innovation Manager at Vale, delighted the audience in two stage appearances alongside Mike Flannagan, Senior Vice-President of SAP Leonardo, and Jürgen Müller, Chief Innovation Officer at SAP, where he explained the two fundamental questions when coming about innovation: ‘what’ and ‘how’. 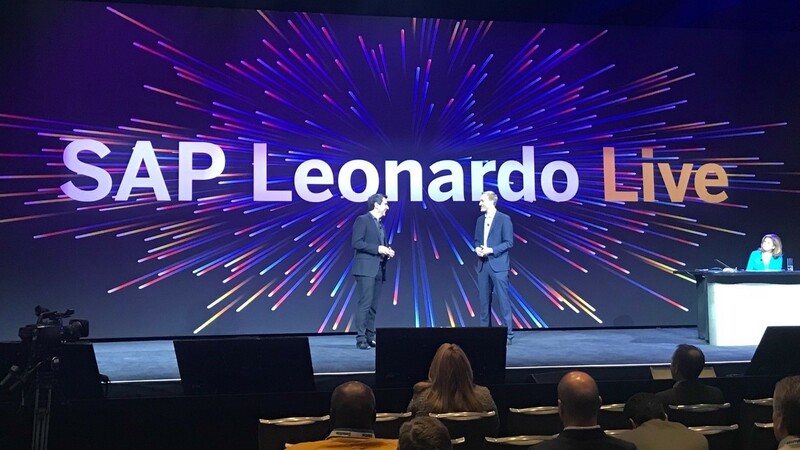 You can re-watch Jürgen Müller’s keynote at http://events.sap.com/sap-leonardo-na-broadcast/en/session/36906 From min 5:05 you could see Helio Mosquim’s stage appearance explaining the experience of innovating with SAP Leonardo. Very inspirational.